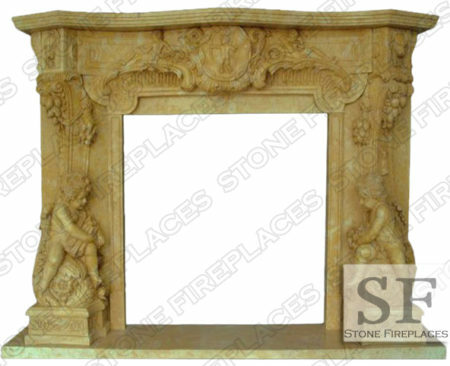 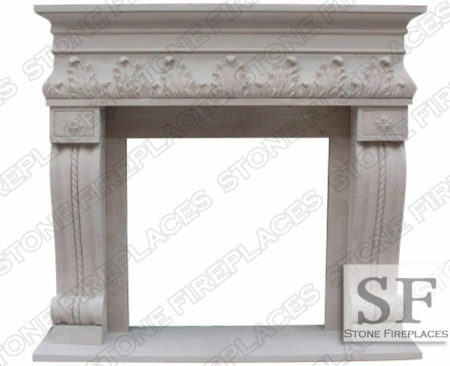 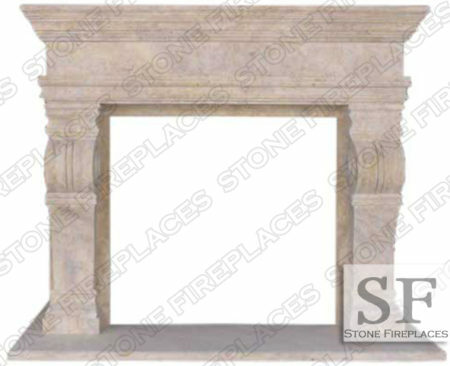 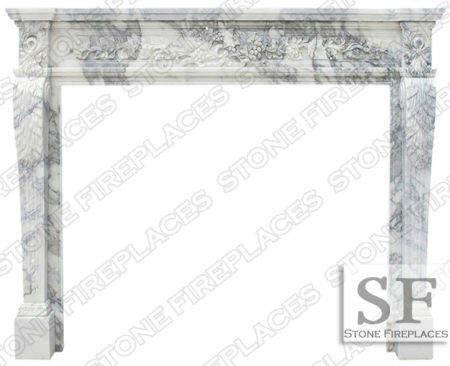 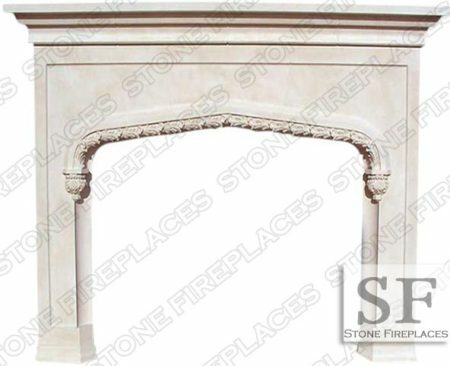 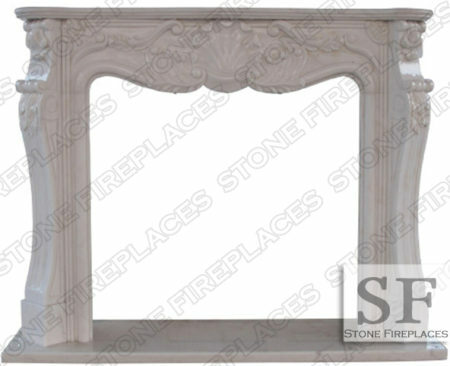 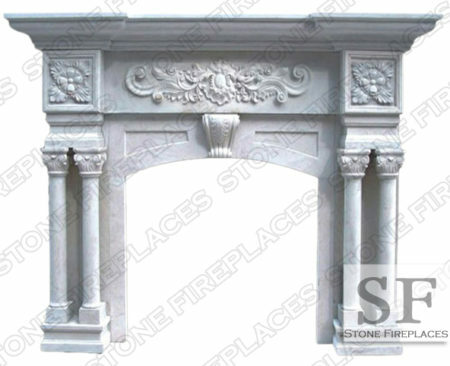 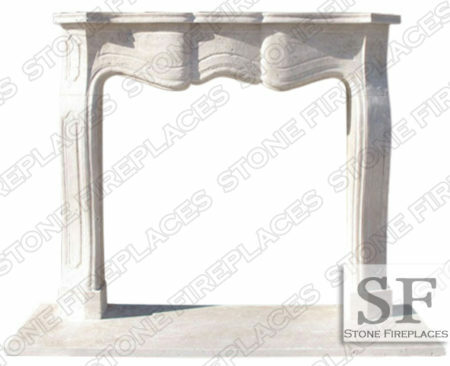 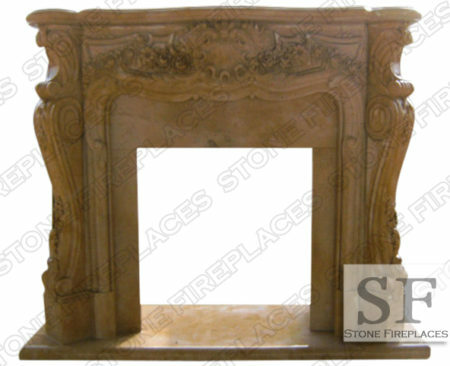 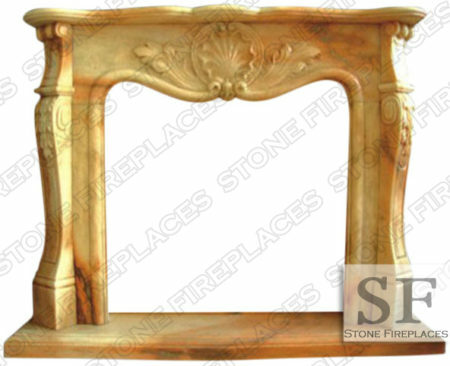 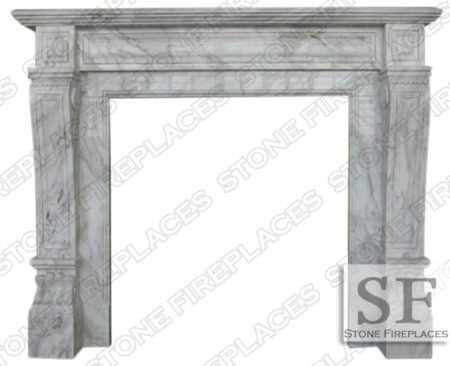 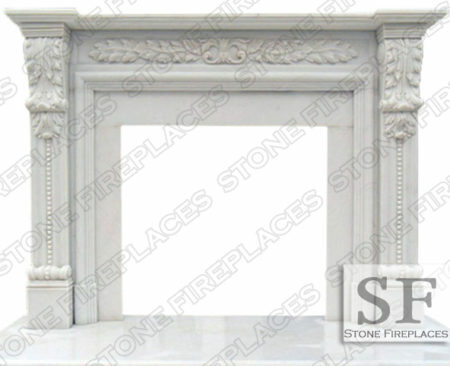 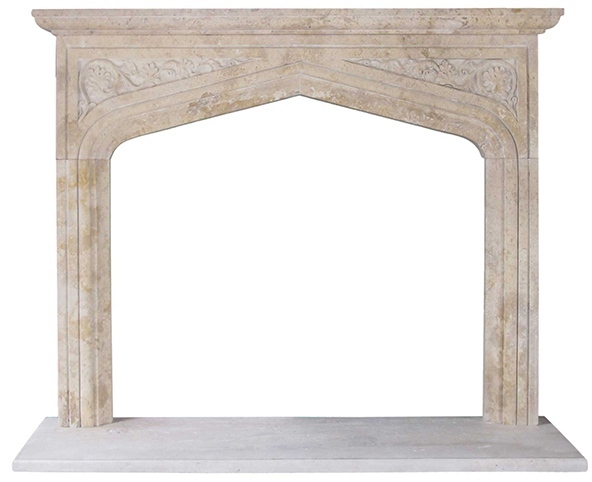 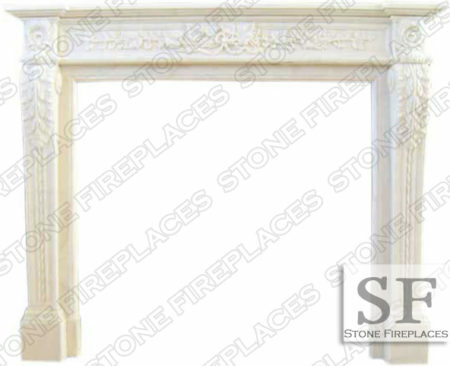 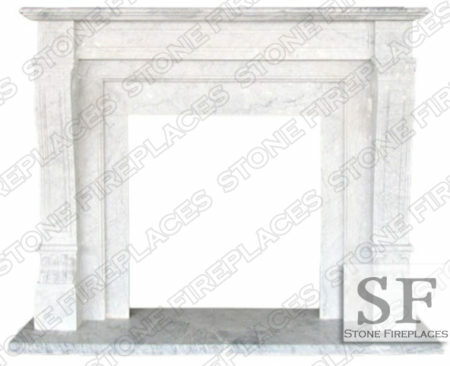 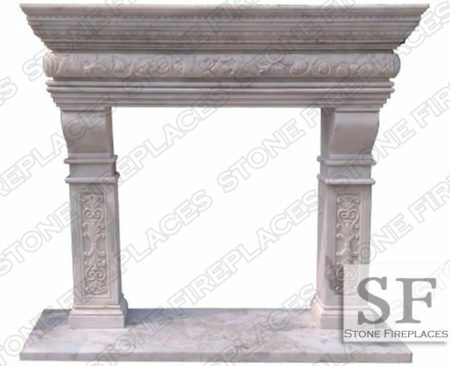 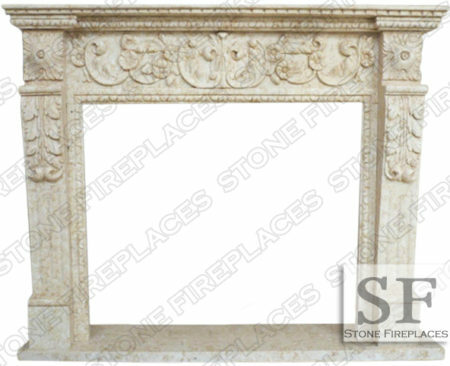 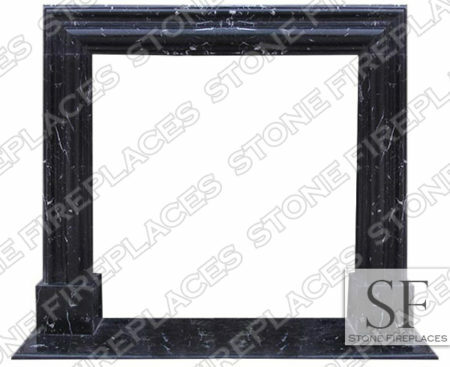 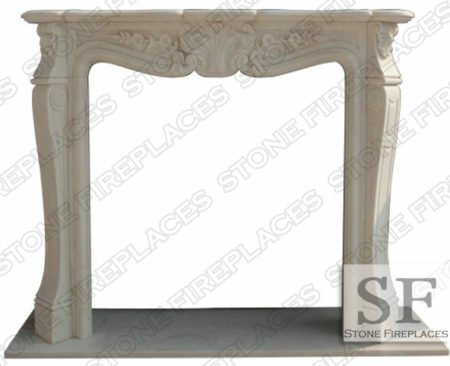 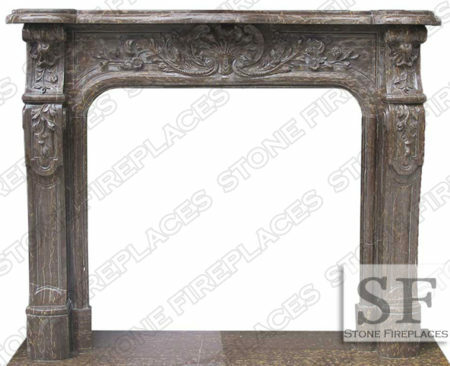 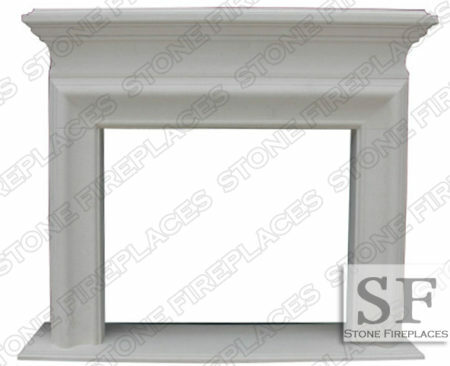 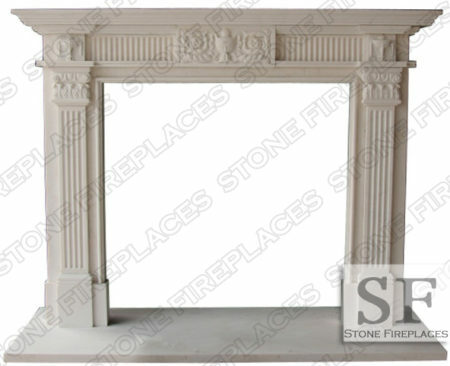 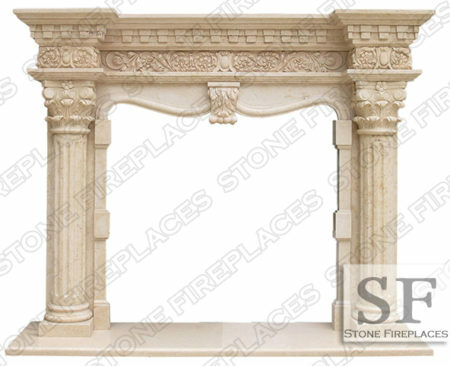 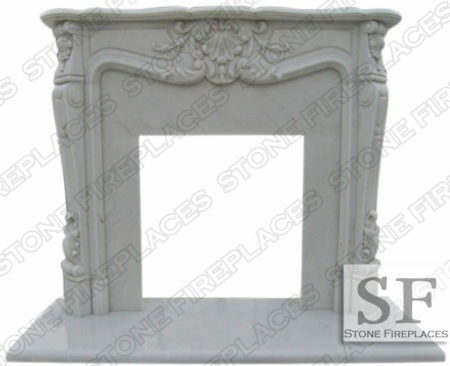 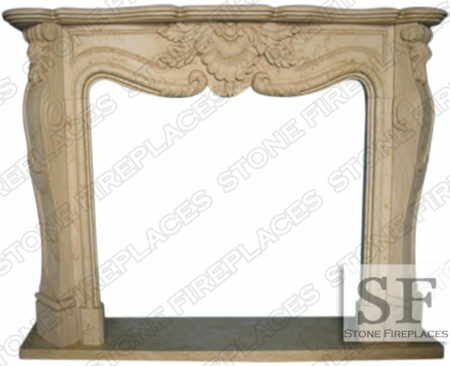 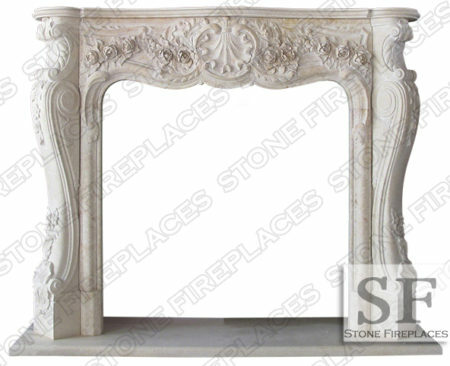 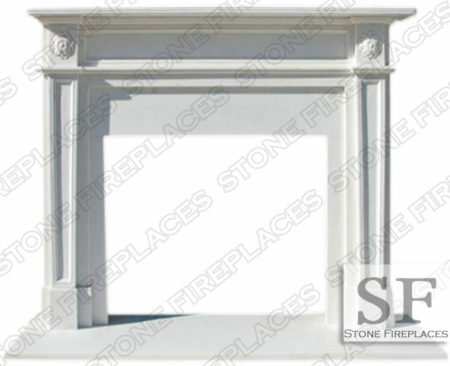 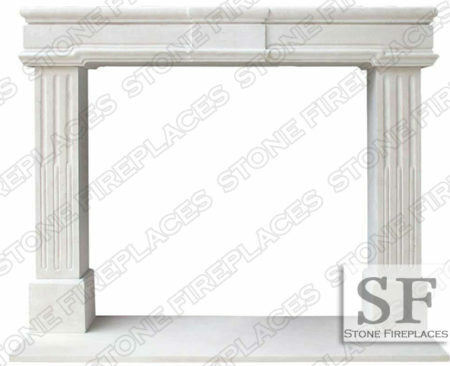 Baroque Verona Marble Fireplace Surround is a very fancy and over the top decorative fireplace. 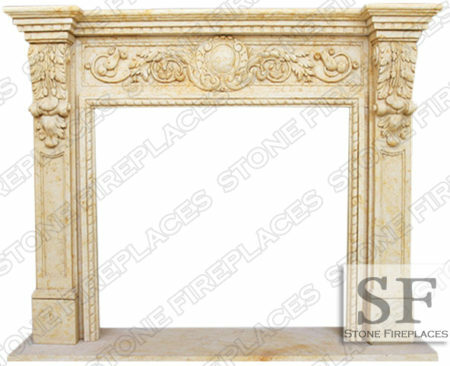 With its fine carvings of faces, flowers, leaves, and patterns this marble surround is sure to catch any eye. 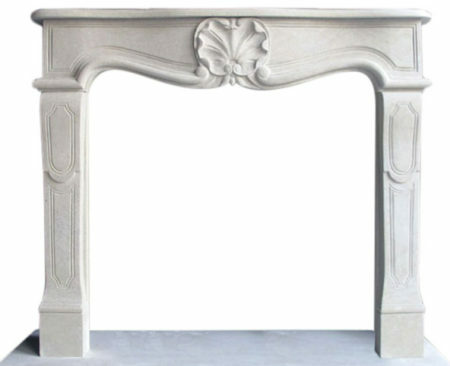 This is a great example of French stylings and design. 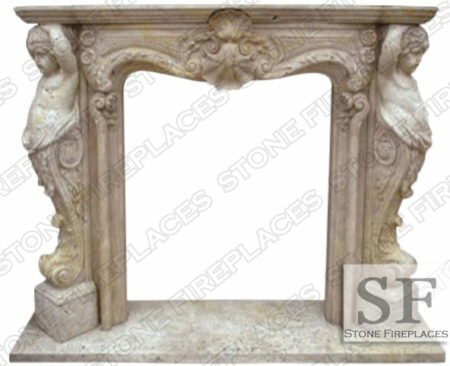 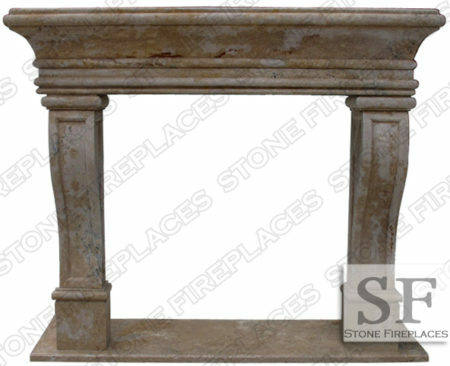 The Baroque Verona is a more ornate version of the Verona Marble Fireplace. 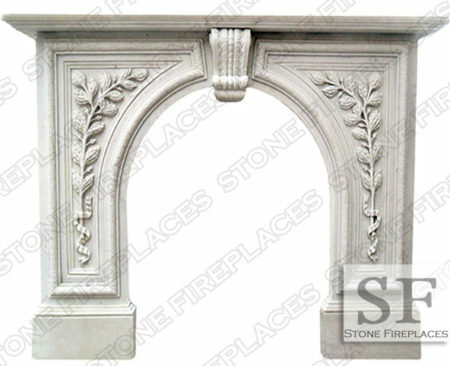 It also adds details from the Victoria surround. 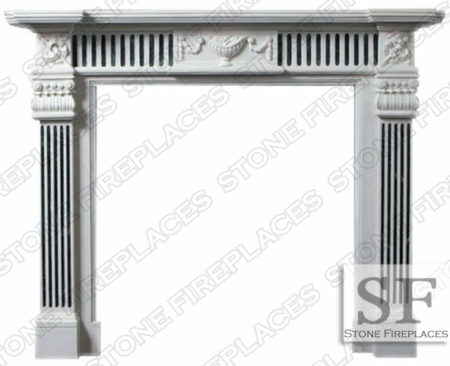 Both of those fireplaces can be found on our sale page. 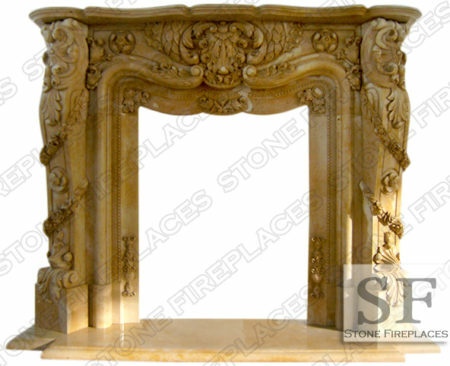 The Baroque Verona is typically custom made because it is a larger fireplace. 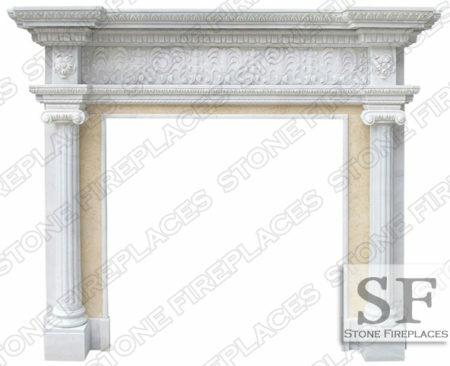 We can make it exactly to your dimensions. 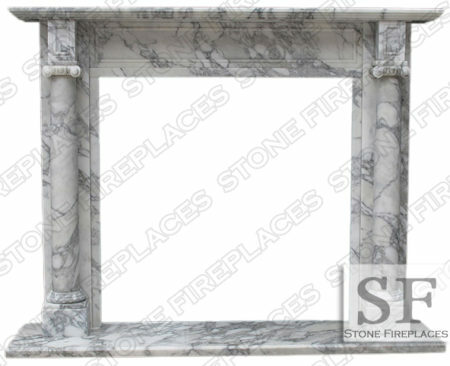 You can also choose the marble that you would want it carved from. 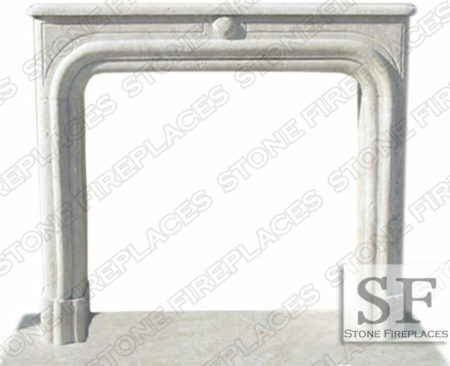 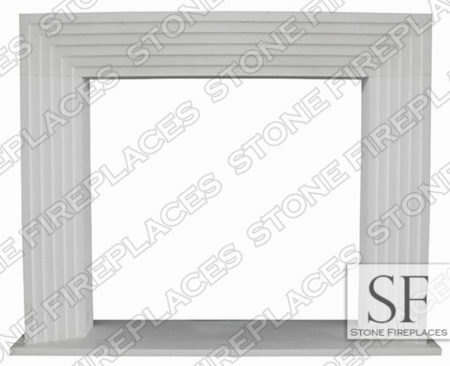 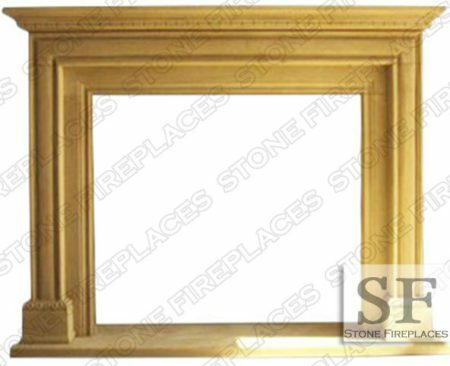 Simple fireplace surround made from a cream bello limestone in a honed finish. 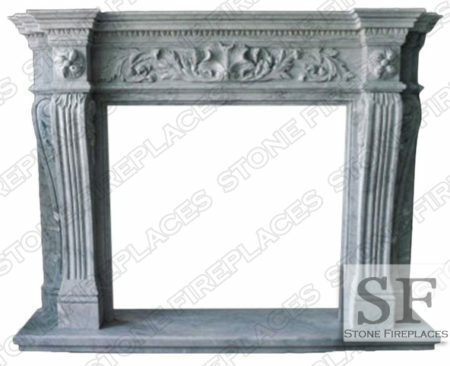 The hearth is very simple and small not to draw attention from the simple beauty of this surround. 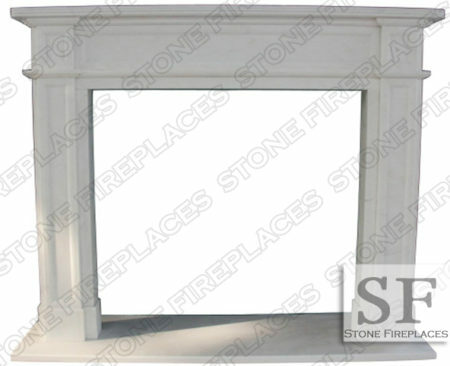 For installation details please contact us. 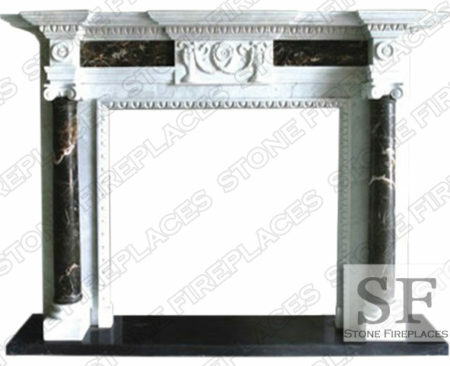 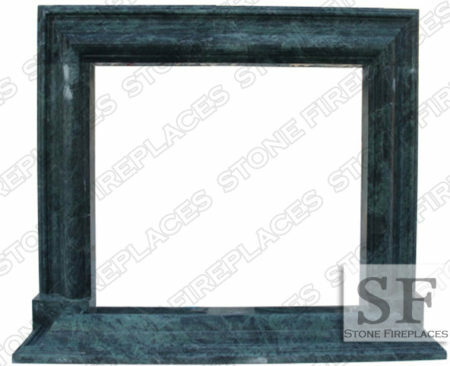 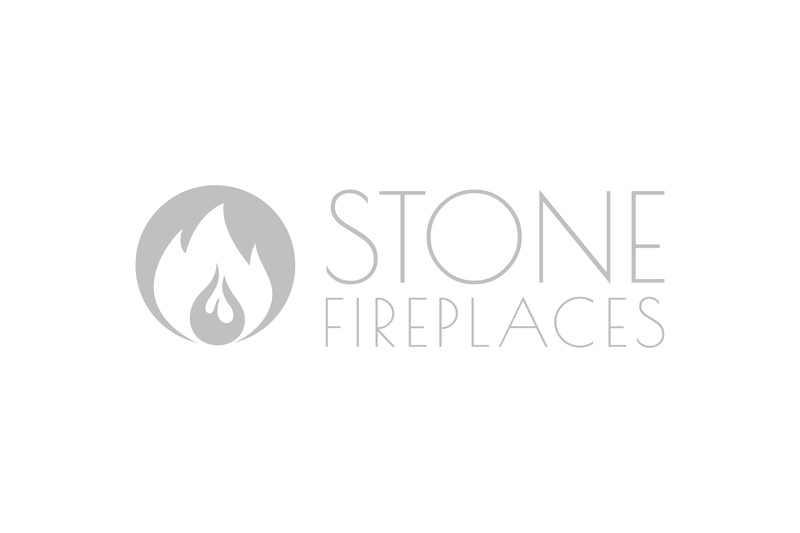 We are also able to install marble fireplaces. 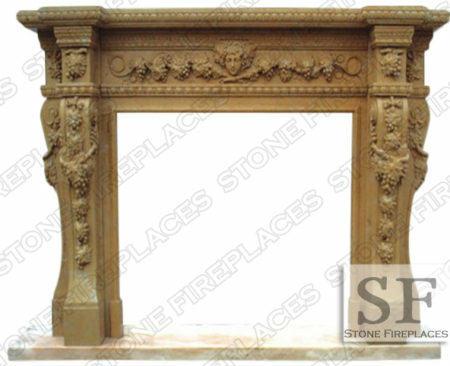 In state chicago land area and out of state east coast in states such as New York and New Jersey. 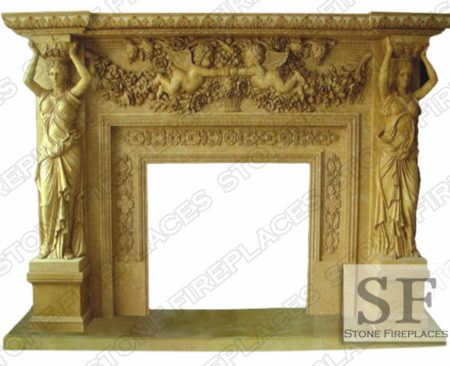 We can provide installation to customers living in Indiana in the Chicago land area. 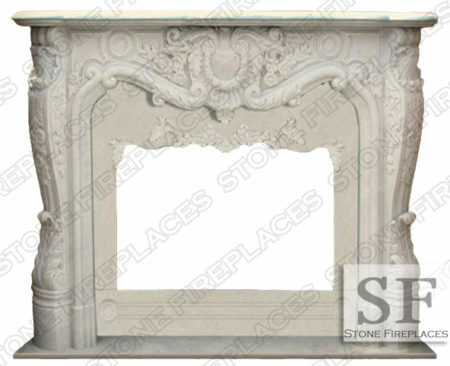 The Victoria fireplace mantel is an era style model that was inspired by French designs and is a very ornate marble surround. 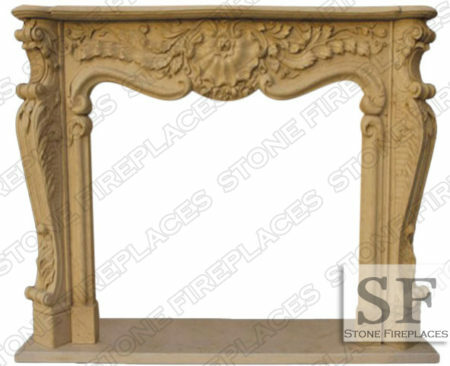 The Victoria has detailed floral carvings with shells and deep lines. 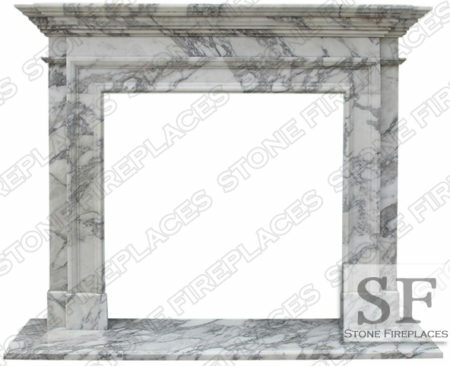 A rounded marble mantel shelf sits a top a the surround legs that are carved from the same marble. 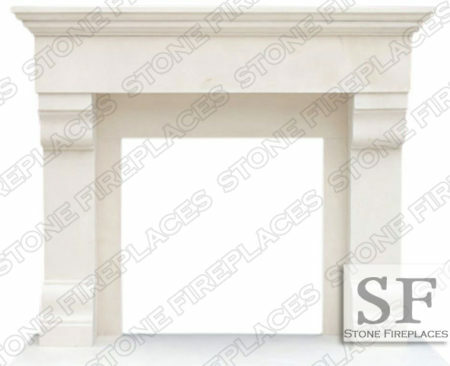 The two S Scrolled legs are installed at an angle. 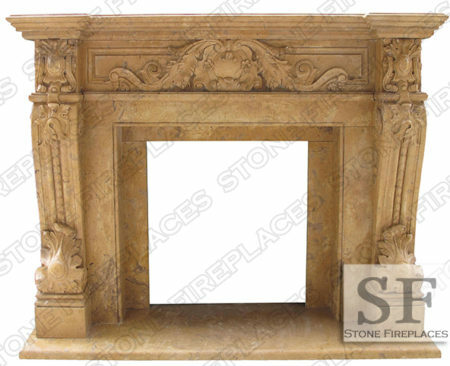 These Victorian fireplaces can light up the ambience of any room. 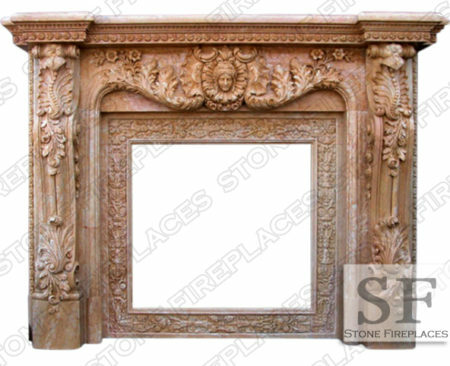 The rich detail of roses and leaves hand carved in marble make this mantel a center piece of any home. 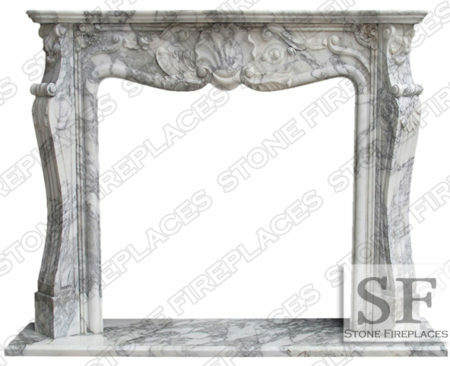 Find this French Marble Fireplace on our sale page.